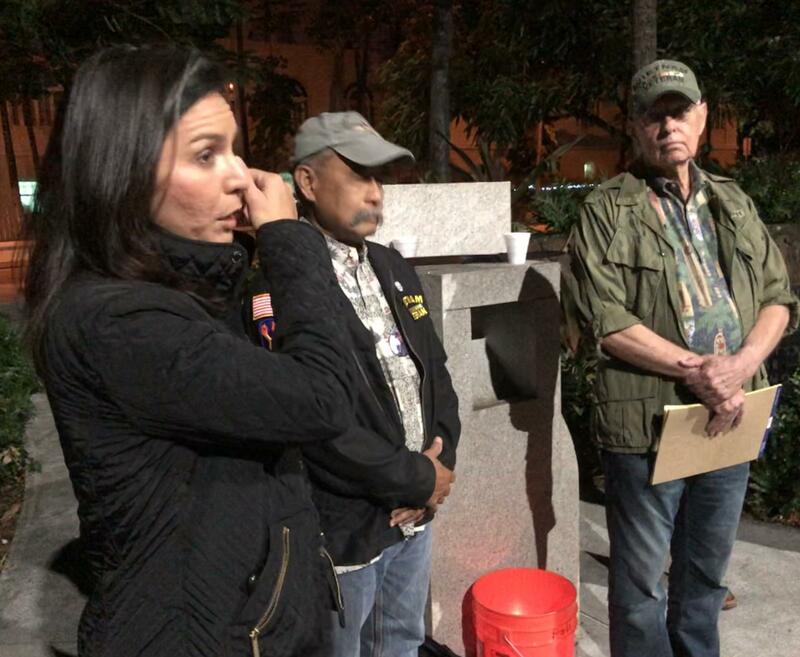 A solemn remembrance started 24 years ago continues at the State Capitol grounds. At 11pm Hawai’i time on December 23, it’s already Christmas Eve in Vietnam. 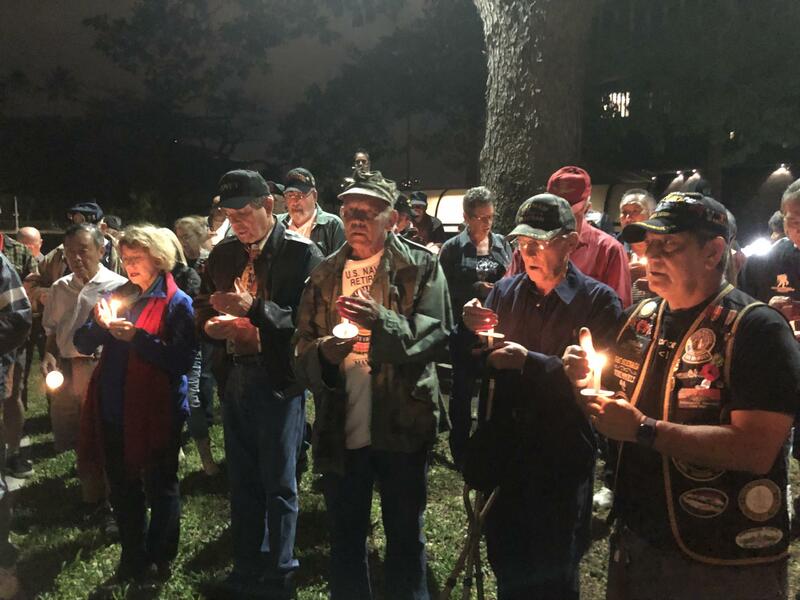 About 60 veterans – most of them from the Vietnam War -- gathered with their supporters and loved ones at the Korea/Vietnam Memorial on the Ewa side of the State Capitol grounds. Attorney Tom Stirling was an intelligence officer in Vietnam. Allen Hoe, also an attorney, was a combat medic in Vietnam and was wounded during the 1968 Tet Counter-Offensive. His son was killed in Northern Iraq in 2005. 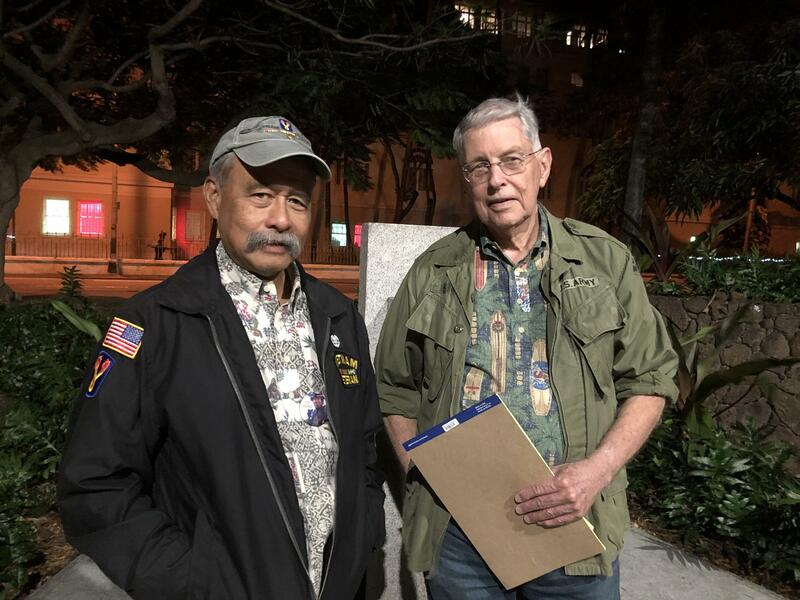 Bill Richards, one of the captains of the Hokule’a, is one of 4 Vietnam veterans with the Polynesian Voyaging Society. 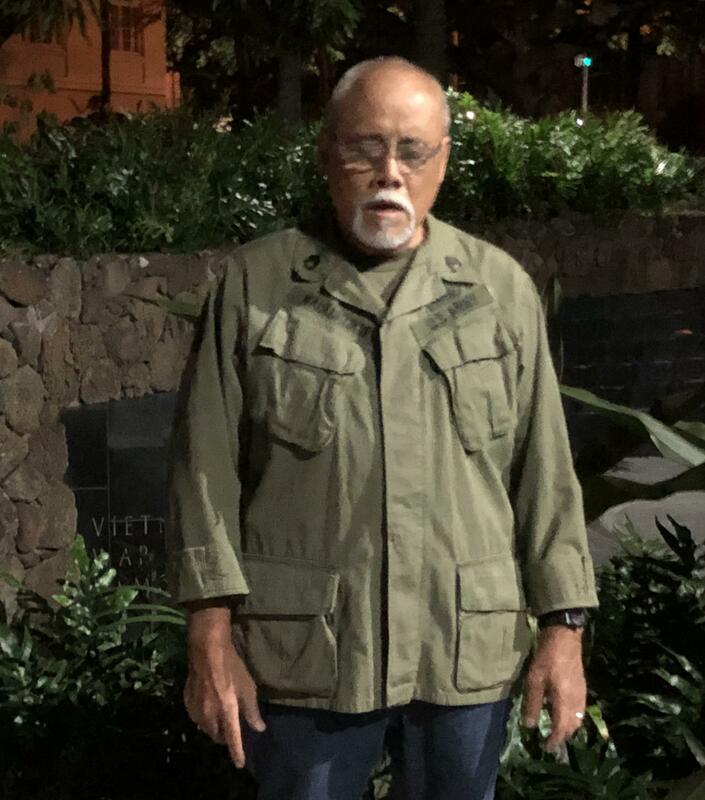 He served with the 3rd battalion, 3rd Marines during Tet in 1968. 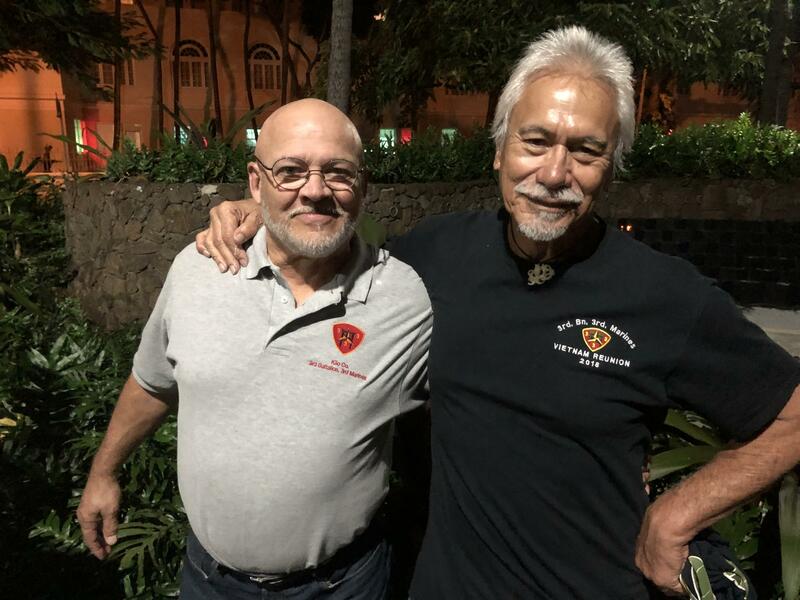 Retired state circuit judge Thomas Kaulukukui Junior served with the 173rd Airborne Brigade. He delivered the 1994 dedication ceremony speech for the Korea/Vietnam Memorial. All attendees were invited to recite a name in remembrance. Then, a large candle lighted and carried earlier from the Eternal Flame across the street was used to light smaller candles for each participant.